The Misfires began in Spring 1997 with the Jones brothers, Brian and Dave, who had been playing and practicing for a year previous to that. They played a handful of shows their first year with The Smugglers, Scared of Chaka, The Thumbs and others. In January 1998, they recorded their 1st and only 7″, “What Else To Do”. Around this time, Dave started playing guitar in addition to doing vocals. The band self-released the 7″ on their own label, Watch My Stance. The 7″ came out later that Spring/Summer. Jeremy Jones went off to college so they replaced him with Jonathon Warnberg who had played in a few different Wisconsin and Minnesota punk bands. Later in the Fall, they parted ways with Jason and replaced him with Pete Biasi on bass. They continued to play all ages shows around the Midwest. In January 1999, The Misfires recorded the “Dead End Expressway” full length in Minneapolis with Mike Wisti at Albatross studios. Right around this time, Brian started playing with The Hidden Chord. The Misfires started to play out even more after recording the full length. It came out on CD in May 1999 and on vinyl in August 1999. Throughout the summer they played and recorded the new songs at Albatross again. After an 8 hour session, they came away with 7 amazing songs. These songs were set for release later in the fall after a scheduled 2-3 week East coast tour. Unfortunately, they broke up right before tour and before their final ep was completely mixed. Brian played with the Hidden Chord, while Dave, Jonathon and Pete played in Signal To Trust. 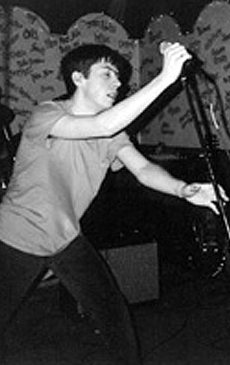 Brian joined Signal To Trust in the Summer of 2001.